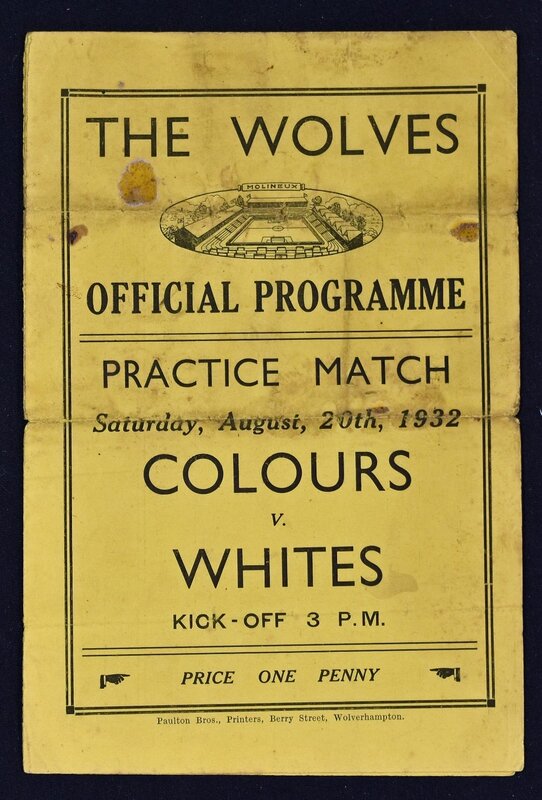 1932/1933 Wolverhampton Wanderers public practice match 4 page programme 20 August 1932. Fair. 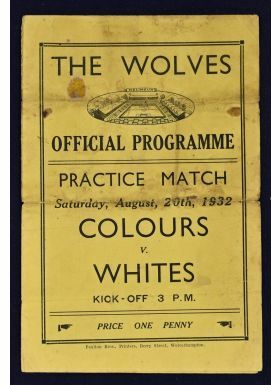 NB: Wolves 1st match after promotion to Division 1.